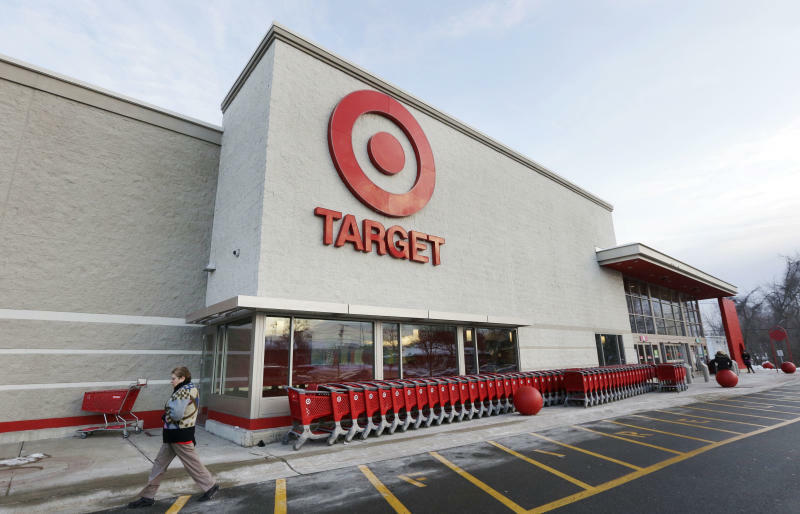 NEW YORK (AP) -- Target's pre-Christmas security breach was significantly more extensive and affected millions more shoppers than the company reported last month. The nation's second largest discounter said Friday that hackers stole personal information — including names, phone numbers as well as email and mailing addresses — from as many as 70 million customers as part of a data breach it discovered in December. Target Corp. disclosed last month that about 40 million credit and debit cards may have been affected by a data breach that happened between Nov. 27 and Dec. 15 — just as the holiday shopping season was getting into gear. According to new information gleaned from its investigation with the Secret Service and the Department of Justice, Target said Friday that criminals also took non-credit card related data for some 70 million shoppers who could have made purchases at Target stores outside the late Nov. to mid-Dec. timeframe. Some overlap exists between the two data sets, the company said Friday. "I know that it is frustrating for our guests to learn that this information was taken and we are truly sorry they are having to endure this," said Gregg Steinhafel, Target chairman, president and CEO, in a statement. While Target investors have been largely unmoved, the incident has shaken shoppers. The company's stock has traded at about $63 since news of the breach leaked on Dec. 18. It slipped just 67 cents, or 1 percent, to $62.67 in morning trading Friday. Target revealed on Friday, however, that the breach diminished holiday sales. The company cut its forecast for fourth-quarter earnings, a key sales barometer. The theft from Target's databases is still the second largest data breach on record, rivalling an incident uncovered in 2007 that saw more than 90 million credit card accounts pilfered from TJX Cos. Inc.
Target said in December that customers' names, credit and debit card numbers, card expiration dates, debit-card PINs and the embedded code on the magnetic strip on the back of cards had been stolen. Target tried to woo scared shoppers back to stores on the last weekend before Christmas with a 10 percent discount on nearly everything in its stores. But Customer Growth Partners LLC, a retail consultancy, estimated that the number of transactions at Target fell 3 percent to 4 percent on the Saturday before Christmas, compared with a year ago. "You have violated that person's trust. And it's going to take time to regain that trust," said Brian Sozzi, CEO & Chief Equities Strategist of Belus Capital Advisors. Target lowered its fourth-quarter adjusted earnings guidance to a range of $1.20 to $1.30 per share, down from $1.50 to $1.60 per share. Analysts surveyed by FactSet expect earnings of $1.24 per share. The Minneapolis company also said that it now foresees fourth-quarter sales at stores open at least a year will be down about 2.5 percent. It previously predicted those sales would be about flat. This figure is a closely-watched indicator of a retailer's health. Target cautioned that its fourth-quarter financials may include charges related to the data breach. The chain said the costs tied to the breach may have a material adverse effect on its quarterly results as well as future periods. The company has 1,921 stores, with 1,797 locations in the U.S. and 124 in Canada.